RDAC’s very own Anita Bennett has begun her 40 Day Challenge to raise money for Birmingham’s Children Hospital. Her goal is to complete 40 Sports in 40 Days while raising funds, awareness and support for the hospital that saved her life 40 years ago. Anita had a potentially life changing operation to remove a kidney. Now, 40 years later, with only one kidney, Anita lives a full and healthy life while also helping people improve their quality of life at RDAC. 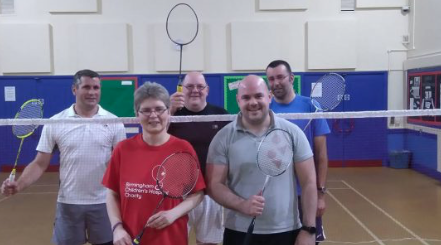 Sport has played an important part in Anita’s life and so it’s the perfect way to celebrate the anniversary of her time as a patient while raising money for those who made it possible. She’ll be taking part in sports such as volleyball, fencing, sub aqua diving and even horse riding. While revisiting sports she hasn’t played since childhood, like rounders, netball and hockey. There will be a number of her favourite sports in the roundup too, such as table tennis, football and cricket. Anita with her unstoppable spirit will also be taking part in an 18 mile trek across the Malvern Hills.